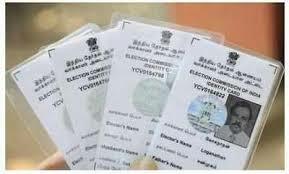 to change the address on your Voter ID card online. This can be done by filling up the ‘Form 6’ online on the National Voter’s Service portal website– https://www.nvsp.in/Forms/Forms/form6. The same process can be followed for getting a voter ID card for the first time. Here is the how to apply online for registration of a new voter or get your name included in the electoral roll for the nearest constituency. Choose the option due to moving from another constituency if you have shifted from somewhere, else choose the option ‘As a first-time voter’ to apply as the new voter. One thing to note here is the website automatically translates the details into the regional language by pressing the ‘Tab’ key on the keyboard. ​In the next two sections, applicants need to enter their current address and permanent address details. This section also allows the applicants to select their ‘disabilities’ (if any) from the given list. when does this change take into effect? I have to vote on 18th. Is it still possible to get the updated voterID in 3 days?